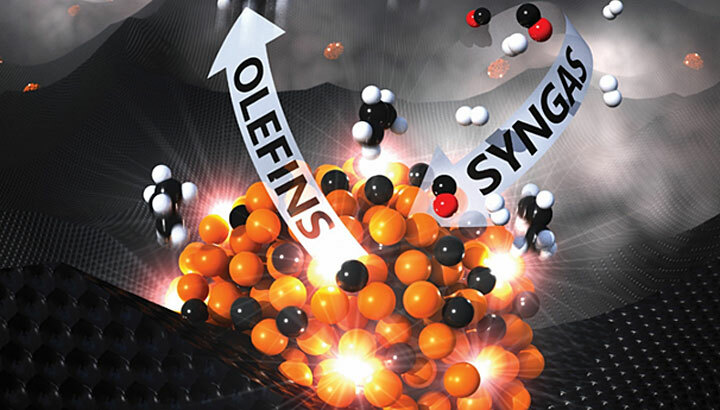 National Energy Technology Laboratory (NETL) researchers developed a new catalyst that can selectively convert syngas into light hydrocarbon compounds called olefins for application in a $200 billion per year chemical industry market. The work has been detailed in ChemCatChem, a premier catalysis journal. The catalyst was characterized using a variety of techniques from U.S. Department of Energy user facilities at Brookhaven National Laboratory including advanced electron microscopy at the Center for Functional Nanomaterials and synchrotron-based X-ray spectroscopy conducted at the National Synchrotron Light Source II. An olefin is a compound made up of hydrogen and carbon that contains one or more pairs of carbon atoms linked by a double bond. Because of their high reactivity and low cost, olefins are widely used as building blocks in the manufacture of plastics and the preparation of certain types of synthetic rubber, chemical fibers, and other commercially valuable products. The NETL research is significant because light olefins are currently produced using steam cracking of ethane or petroleum derived precursors. Steam cracking is a petrochemical process in which saturated hydrocarbons are broken down into smaller, often unsaturated hydrocarbons. It is one of the most energy intensive processes in the chemical industry. Research has been underway to develop alternative approaches to producing olefins that are less energy intensive, more sustainable and can use different feedstocks. The NETL research has shown promising results toward those goals. According to NETL researchers Congjun Wang and Christopher Matranga, the research led to development of a carbon nanosheet-supported iron oxide catalyst that has proven effective in converting syngas into light olefins. A catalyst is a substance that increases the rate of a chemical reaction without itself undergoing any permanent chemical change. A nanosheet is a two-dimensional nanostructure with thickness ranging from 1 to 100 nanometers. The carbon nanosheet-supported iron oxide catalyst was put to the test in the Fischer-Tropsch to Olefins synthesis process —a set of chemical reactions that changes a mixture of carbon monoxide gas and hydrogen gas into hydrocarbons that is showing promise as a method for creating olefins at lower cost. Matranga added that the carbon nanosheets promoted the effective transformation of iron oxide in the fresh catalysts to active iron carbide under reaction conditions. 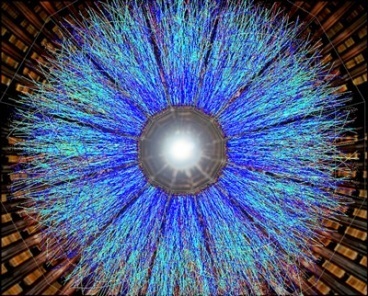 Eli Stavitski, a physicist at Brookhaven’s NSLS-II’s Inner Shell Spectroscopy (ISS) beamline, said the new catalyst performed well in his tests. ISS was one of the two beamlines at NSLS-II where the work was conducted. “Using the exceptionally bright X-ray beams available at NSLS-II, we were able to confirm that the new catalyst developed by the NETL team transforms into an active, iron carbide phase faster, and more completely, than the materials proposed for the Fischer Tropsch synthesis before,” he said.